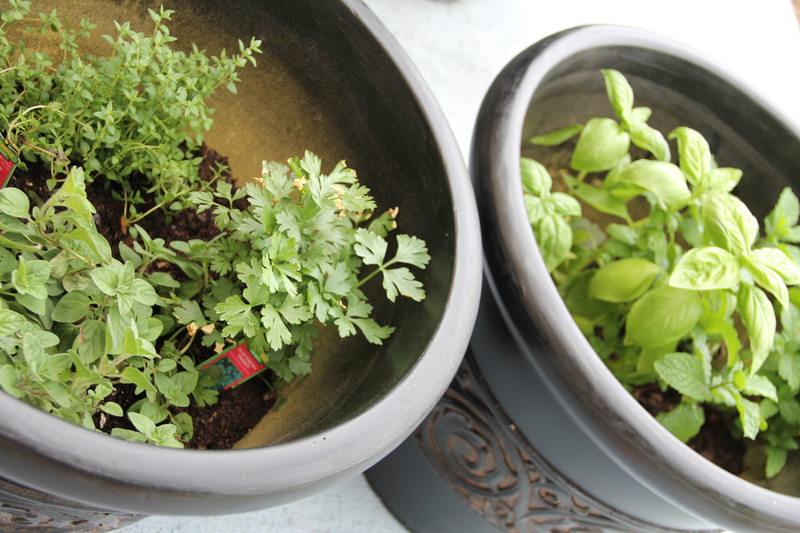 At the start of the Summer, I rummaged out some black pots I bought for Halloween decorations last year, drilled holes in the bottom of them and planted my own little herb garden. 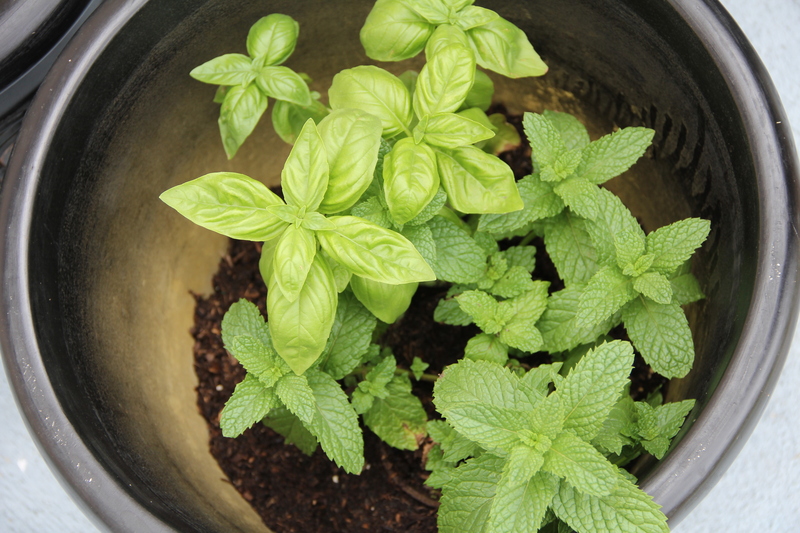 Basil, mint, oregano, thyme…they were all on sale for $2 a plant (cheaper than buying fresh at the grocery store). It makes me wonder what are the easiest veggies to grow??? I’ve already found the easiest to kill.